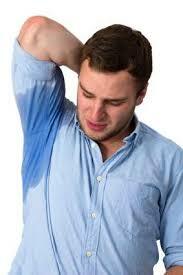 RECISION TX is a one-time minimally invasive laser procedure that ablate the sweat glands directly!! How does the PrecisionTx procedure work? The procedure is done under localanesthesia. Through a small incision, a cannula is inserted under the skin and thermally controlled laser energy is delivered directly to the sweat glands to ablate them. Like any other minimally invasive procedure, you may feel a light pres-sure during the procedure and some soreness afterwards, which will resolve rapidly. You will be able to return to your normal activities in a few days.